Trends are crossing over more and more as designers are creating for both sexes and with this season’s multitude of choices, cross trending has become a thing. You heard of couple matching, and these trends will get you into shopping each others closets. The trick is in the details. Grab your sig other’s plaid shirt and rock on. 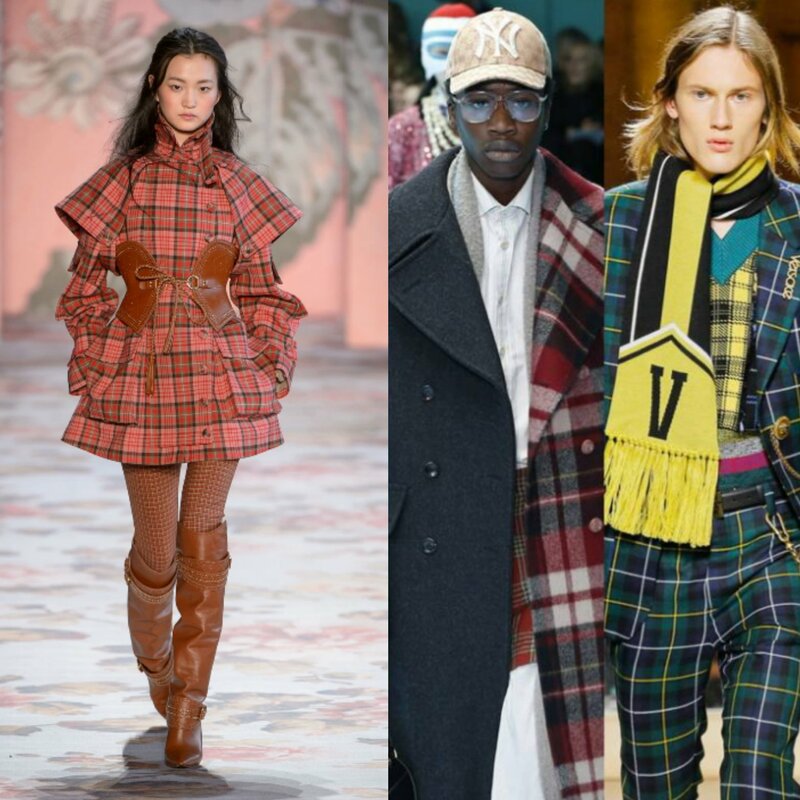 Plaid for guys is still mostly the red and black variety while women have the full spectrum from gingham and beyond. Rock your Boyfriend’s fav plaid shirt with a corset belt and leggings while guys can snag that plaid scarf. 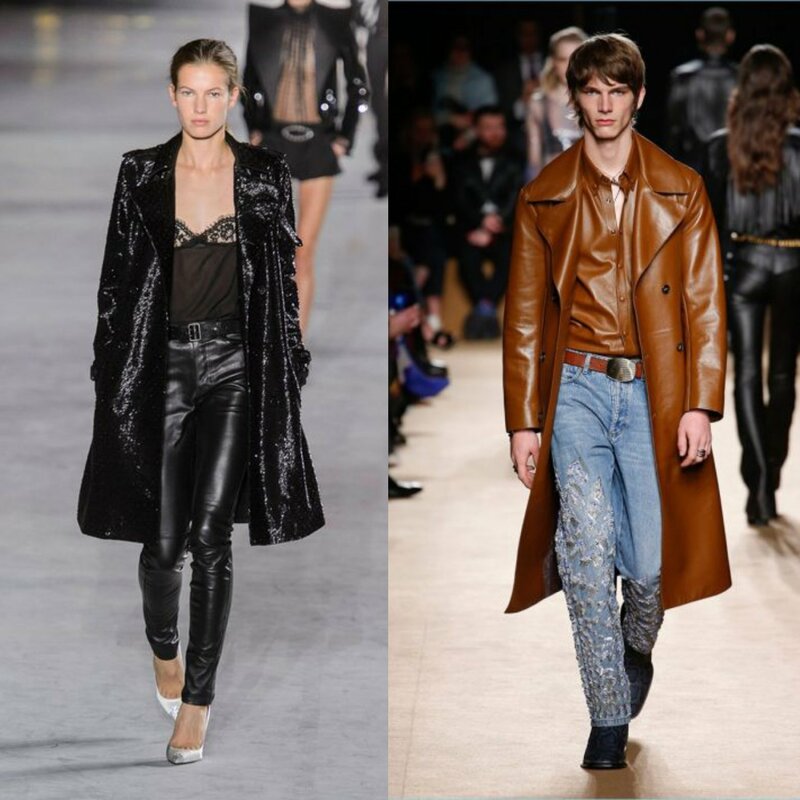 Leatherlike fabrics are having a moment and here guys have the advantage of the leather coat while women are seeing the trend mostly in skirts and pants. Leather hiking boots with rocker accents are also having a moment. Couple outfits are a go!! 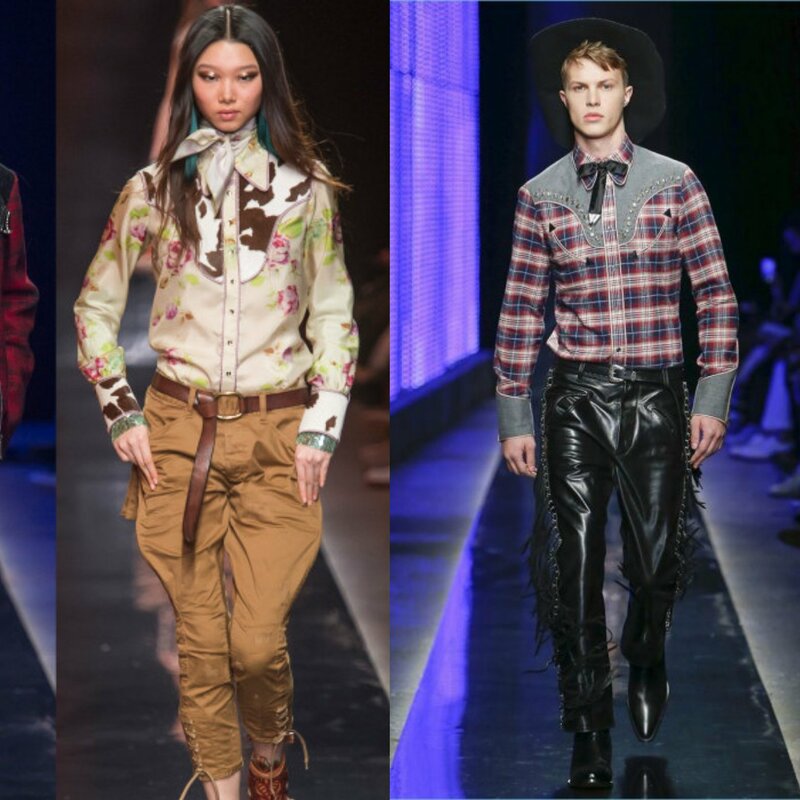 Western styles are back and for both men and women with both getting their fair share. An entire outfit was showcased on multiple runways but we really love the patchwork on the shirt.